Everyone can benefit from a Motivational Speaker. 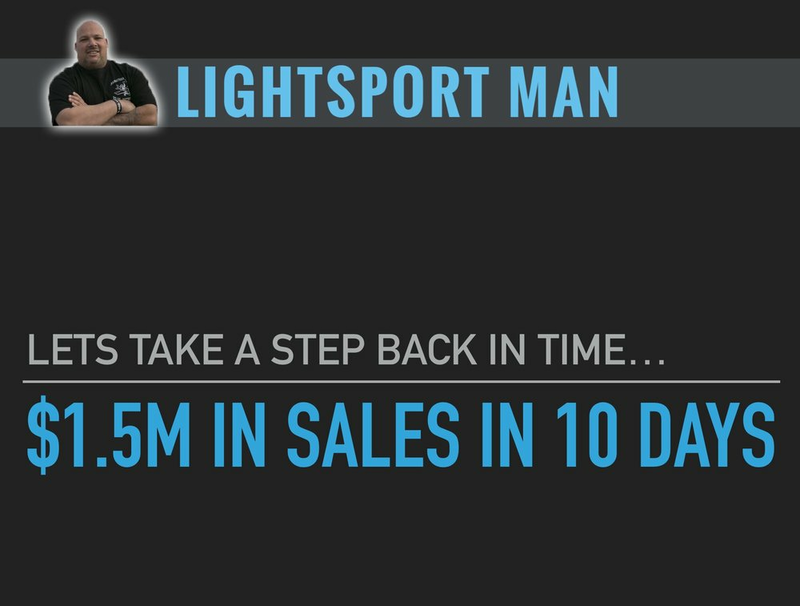 From Sports to Business, From Life Issues to Closing the Deal, LightSport Man’s story and background with NLP will help everyone. You will learn so much from just one of his events that it will make life changing results in your confidence, learning, and performance abilities. His professional “in your face” approach with not accepting or settling for “NO”, will help you to find success in your endeavors. LightSport Man has mentored people of all ages and backgrounds. He has a selfless demeanor, as his primary goal is to be a mentor to anyone who has entrepreneurial desires. His purpose is to share his experiences and knowledge with those who have these entrepreneurial desires. Because of LightSport Man’s friendly, professional manners, and “go getter” mentality, he has also built multiple trusting relationships with companies and organizations that have allowed him to team up with them. All of these components, both professionally and personally, create an equation for success. Would you like to make more money this year in real estate? Then the LightSport Man “Never Take A “NO” Again" Seminar is a MUST for YOU! For Sale By Owners are sometimes hard to work with and very hard to show them your value as a real estate agent. How would you like For Sale By Owners asking you to come over? If you are cold calling, you need to find out the secret about how to make For Sale By Owners welcome you into their homes, without you working so hard on the phone. Listing Presentation: How many listings do you get and how many do you NOT get? How would like to learn objection handling from the pro and never take a “NO” again for an answer? How would you like to show the For Sale By Owner your true value? Learn how to get the For Sale By Owner to price the listing correctly, without debating for hours, or even days, with them. Do you need help to get and stay motivated? LightSport Man will help with this and will help you make more money this year. LightSport Man “Never Take A “NO” Again" For Sale By Owner Seminar is valued at $499 per seat.